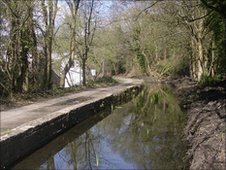 A campaign to redevelop a stretch of the Glamorganshire canal at Pontypridd has been launched. Only two lengths of the canal remain in water - half a kilometre at Pontypridd and another length at Forest Farm. 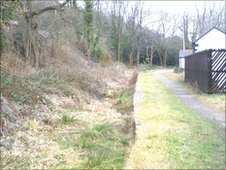 The canal site at Pontypridd contains some historically significant features including locks and cottages. Campaigners hope an application by Sainsburys to redevelop the former Brown Lenox chainworks site will provide an opportunity for restoration. The Glamorganshire canal opened in 1794. At just over 25 miles long it linked the busy industrial centres of Cardiff and Merthyr. Its primary purpose was to serve the Crawshay iron works in Merthyr but over time it also provided the means of transport for raw materials and products to and from Newbridge Cable and Anchor Works in Pontypridd - later to become Brown Lenox. The canal went into a gradual decline in the late 19th century. It was breached at Cilfynydd in 1915 and again near Nantgarw in 1942, closing to commercial transport that year. During the 1960s and 1970s Brown Lenox purchased some of the canal land as part of development at its works leading to a reduction in the size of the canal basin. A large part of the canal was also destroyed to enable construction of the A470 trunk road during the 1970s. The Brown Lenox chainworks site has been out of use since 2000 and has fallen prey to vandalism becoming an eyesore. A planning application to develop the land by the supermarket group Morrisons was rejected in 2004. 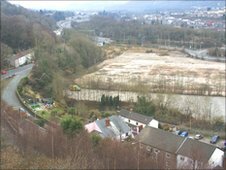 An application by Sainsbury's for a £50m development on the site will be considered by Rhondda Cynon Taf council in September. The Pontypridd Canal Conservation group was formed in June 2010 in response to Sainsbury's planning application. The group's aspirations are to regain land lost to Brown Lenox, recover the original canal line reconnecting the northern and southern sections and to re-establish the original western towpath. The canal at Pontypridd contains a number of significant features including the only intact double lock flight, a stone tail bridge which is still regularly used and canal side cottages still used as dwellings. 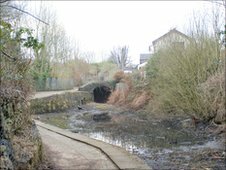 Bill Hockey of the Pontypridd Canal Conservation steering group said: "The loss of part of the canal to industrial expansion in the 1970s greatly reduced the amenity and heritage value of this part of Pontypridd's past. "Members of the local community saw the proposed development of the former Brown Lenox site as a golden opportunity for restoration. "We responded in detail to the application and, when asked by Sainsbury's for our aspirations, provided them and the planning department with a fully documented case for restoration. "In the meantime we are continuing to raise additional support for this project and we have been encouraged by the enthusiastic responses from members of the community and the wider canal and wildlife fraternities. "We would ask anyone interested in Pontypridd's industrial heritage and the transformation of this valuable amenity to support our campaign." Caught any animals on camera?